Now that the site is up and running, we wanted to let you know about the first project of the International Sphaeralogical Society. 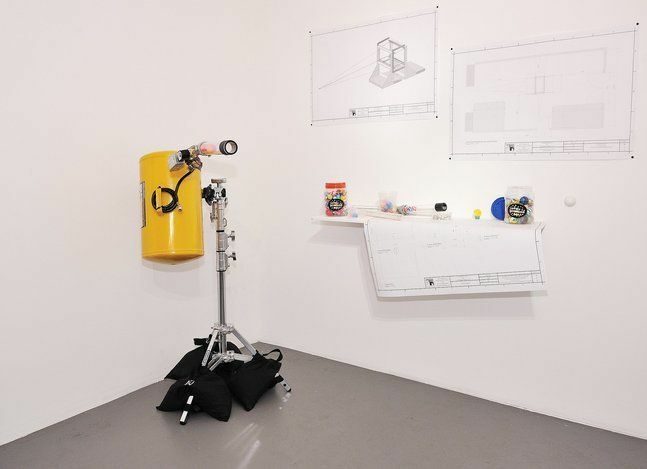 The exhibition, "Requiem for the Super Ball®", by co-founder and artist, Henry J. Simonds, will be on view at the Charles Bank Gallery, 196 Bowery, New York, NY 10012 thru September 11, 2011. The show is a celebration of our favorite ball and includes photography, video, and sculpture in the form of curio boxes of Sphaeralogical specimens. Simonds shot a series of balls from a pneumatic canon into a ballistics tank designed by Rob Long and Doug McDermott of Pittsburgh's Clear Story and filmed the resulting action with a Phantom Flex high-speed camera. The footage of the balls as they impact and bounce within the tank is a rare glimpse at the unique characteristics of the ball in slow motion. As we continue, to promote the study of the Super Ball®, we will post images of the specimens included in the show and video of the film shoot in progress. Thanks again for supporting our new venture and please contact us with ideas or content.